I have awarded your blog "Versatile Blogger Award!" Click on my recent blog post for details. :) Wonderful work! Absolutely beautiful! 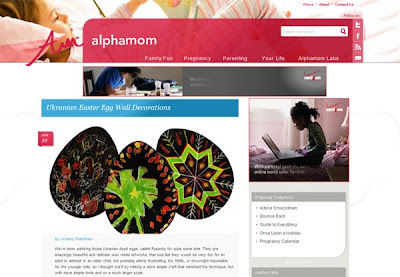 We've been blowing out eggs and decorating them over here at MommyLabs. Have to try this technique as well. I left a comment over at Alpha Mom, but just had to pop back here and say BRAVO YOU! I am blown away by how simple and brilliant this idea is! I am a big kid who struggles with the "real thing". Can't wait to try your ideas.